Who doesn't love the Knights of the Round Table, dragons, Kings, Queens, and Princesses? 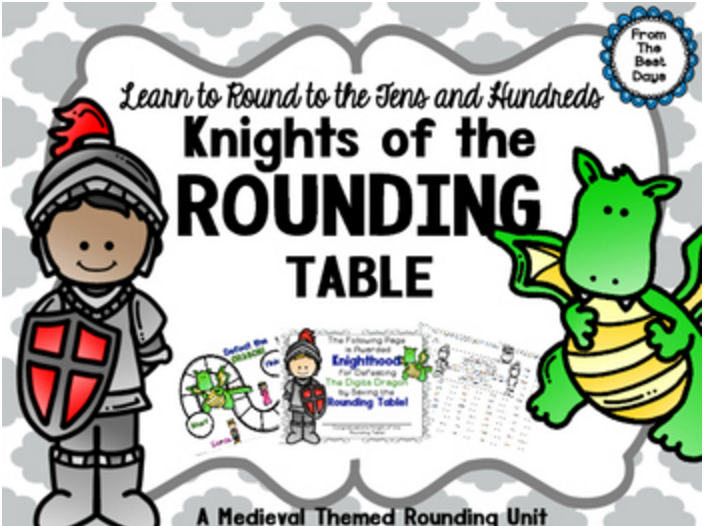 Your students will LOVE learning how to round through this Medieval Times themed Rounding QUEST! 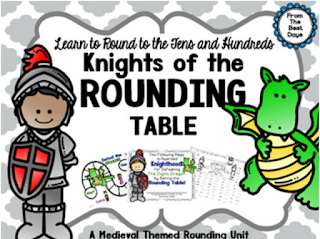 Yes, your students will be sent on a quest to defeat the Digits Dragon by becoming a Knight of the Rounding Table! Included in this product are the quest, practice sheets, a game, and an official certificate making them a Knight of the Rounding Table! Students just love this unit and learn how to round all in the same activities ! Check it out at The Best Days on TpT. While you are there, click the GREEN STAR to follow me for more great products! You can also follow me on Facebook, Pinterest, and my Blog!